Common searches used to find our welding services include: “welding services“, “welding repair shop near me“, and “mobile welding“. 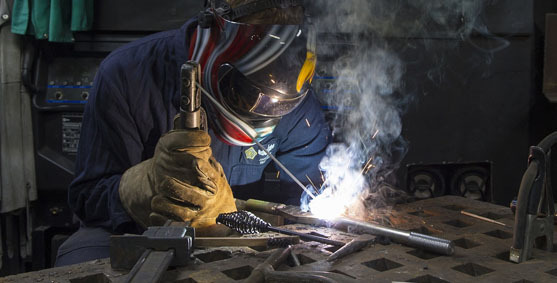 We provide general welding repair and portable welding repair services for items such as automotive needs, trailers, heavy duty equipment, chairs, lamps, grills, lawn mowers, furniture, gates, security doors, and much more. 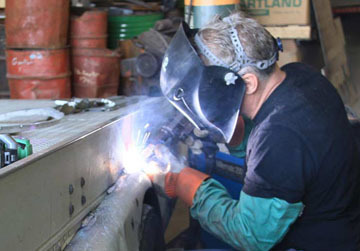 Our custom welding services include TIG welding, MIG Welding, ARC welding, Plasma cutting, torch blazing. We can weld many different types of metal including stainless steel, aluminum, cast iron and mild steel. 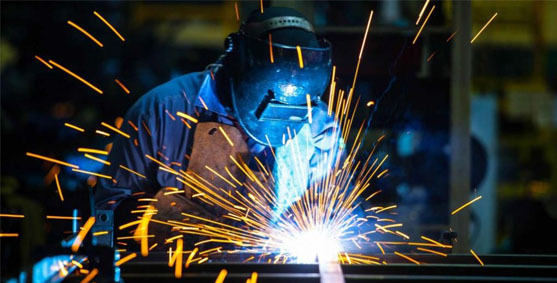 We also offer specialized welding services for commercial and industrial applications including automotive parts, gates, fences, pipes, metal framing, new construction and renovation. 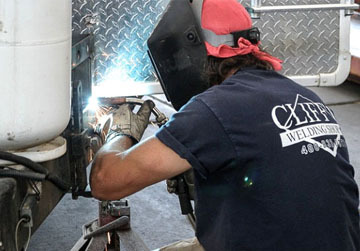 Cliff’s Welding also offers portable welding services for clients who can’t make it out to our location in Mesa. We offer portable welding services to the entire Phoenix Valley including East Valley & West Valley metropolitan cities. We offer great service and the same value on portable welding services that we do on our onsite welding services. Cliff’s Welding is proud to offer all types of welding services including TIG Welding, MIG Welding, Arc Welding, Flux-Cored Welding, along with plasma cutting services. With decades of experience our team can fabricate or repair any type of metal object whether it be functional or simply aesthetic. In addition to these welding services we make custom projects like filming towers, motorcycle racks, and other automotive accessories. TIG welding is done with a non-consumable tungsten electrode which heats the base metal and creates a puddle of molten weld material. This type requires meticulous attention to detail. MIG welding utilizes a wire electrode and shielded gas that heads up the metals that need to be joined. This type of welding is common and needed for industrial applications. 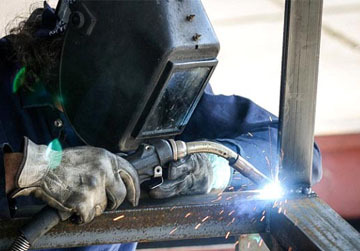 Arc welding, or stick welding, is the most common type of welding. It is great for industrial fabrication, repair work, construction, and even manufacturing type projects. Flux-Cored Welding (FCAW) is one of fastest and least expensive types of welding. Flux-cored welding is useful when lowest cost is a priority and visual presentation of the weld isn’t mission critical. 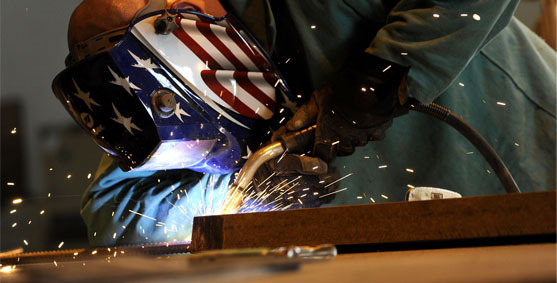 Scheduling welding service is quick and easy with Cliff’s Welding. You can schedule to bring your residential, commercial, industrial, or even agricultural welding project to our welding shop in Mesa; or chose to schedule mobile welding services. 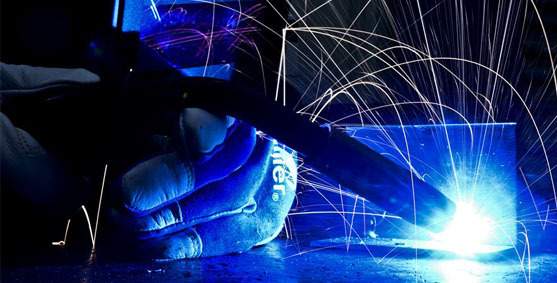 Either way we consistently provide the very best quality welding services in the Phoenix Valley. Schedule service today by calling us at 480-832-0570. 5 Star Review: “I brought in my BMW to have a subframe reinforcement welded into the chassis. The counter staff and the welder performing the work provided excellent service. One of aspect of this experience that stood out was the amount of questions the guys at Cliff’s asked before and during the project. This aspect alone showed their concern for providing a service that would exceed my expectations. I wish more shops would follow Cliff’s pattern for workmanship and customer-centric service.” Tony V.
We proudly provide the valley's best welding services at our shop and with our mobile welding.